The moment I became a twin mum, my life changed forever…in the best possible way. Twins are more than just friends, they are like a small gang. There is nothing sweeter than watching Arlo and Macy communicate in their own language, chase each other around the playground or play peek-a-boo together through their cots. Honestly, I feel like the luckiest person in the world having these little poppets choose me to be their mumma. While there are plenty of twins in movie and literature history (Tweedledee and Tweedledum from Alice in Wonderland come straight to mind), Eloise Green and Sam McMahon are bringing us a modern twin story with their fantastic new show, The Adventures of Broer and Zus. 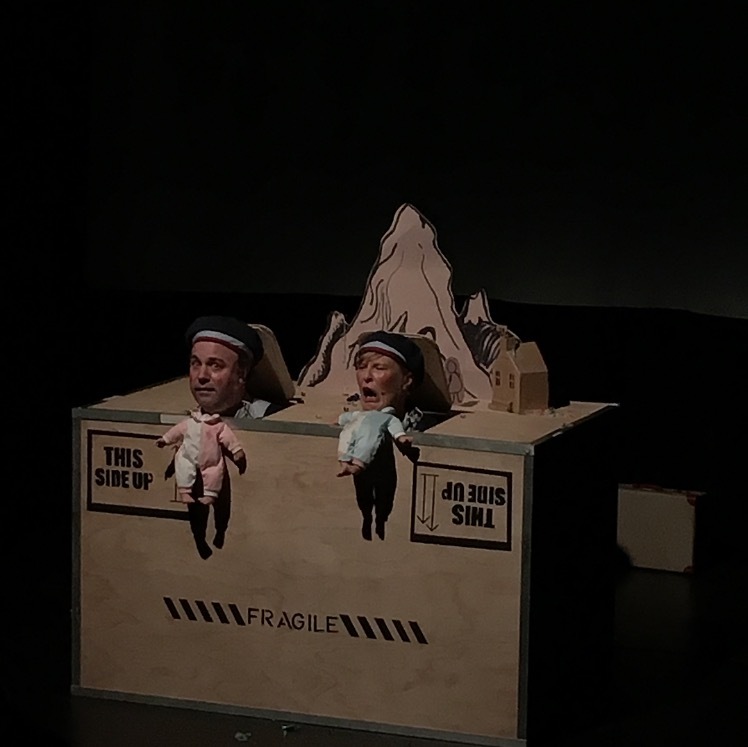 Presented by Arts Centre Melbourne as part of the Melbourne Fringe Festival, The Adventures of Broer and Zus is a hilarious show that will impress the whole family. Broer and Zus (Dutch for brother and sister) are eight year old twins (“identical only to ourselves”) who are two seemingly normal, everyday children who can do amazing things, but only when they believe they can and have the playfulness to imagine them. We are greeted by a bubbly Zus as we approach the Playhouse Theatre Rehearsal Room and the poppets are both given a colourful silk lei to wear around their necks as we take our seats. Broer and Zus soon appear on stage and introduce themselves with a variety of dance moves, they even invite us to join in with stretching our hands (clapping), stretching our face (laughing) and stretching our imagination. We are now ready to begin the show! Over the next 45 minutes, we follow the journey of Broer and Zus - who are recent immigrants to Australia from a ‘faraway’ place – as they embark on their first day of school. With their navy cut-off overall shorts, powder blue collared shirts, red neck ties, blue hats, rosy red cheeks and vintage leather school bags, they certainly look like the part. Their day begins with nervousness and anxiety, but through song, dance, comedy, circus and a daydream sequence, the twins overcome their fears, learn some valuable life lessons and even end up having some fun. 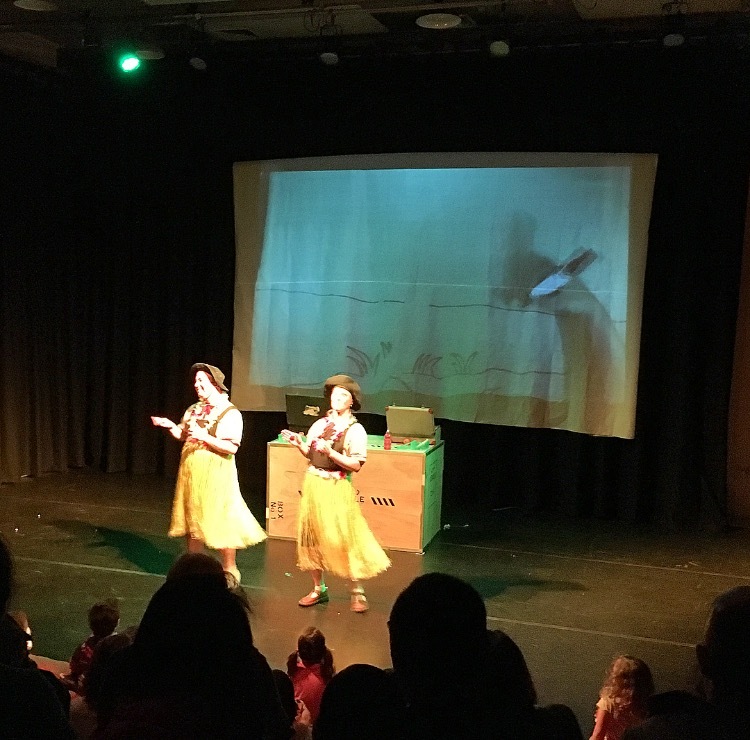 Arlo and Macy took great delight in watching red apples being thrown around the stage and used for a clap and catch competition and all the children were given the opportunity to participate in a hula dance, which even had a few adults out of their seats and on their feet too! 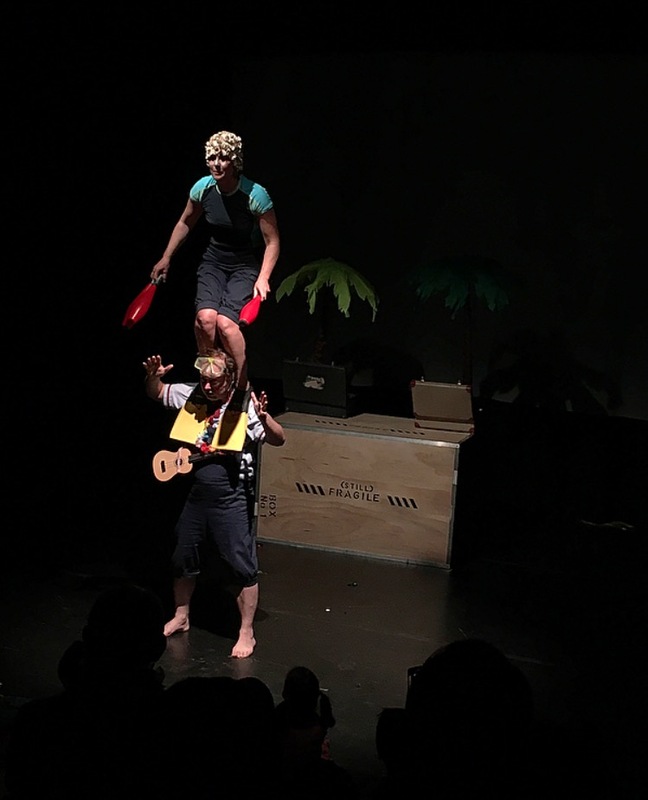 The final act of the performance sees Zus climb on top of Broer’s shoulders (in perfect climbing footwear – bright yellow flippers!) and juggle long, red juggling clubs. She does it! The crowd goes wild! Created and performed by Eloise Green and Sam McMahon both Adelaide based artists with performance backgrounds. The show combines both of their skills and talent to create an inspiring and entertaining experience for children and parents alike. Awarded the Weekly Award for Best Children’s Presentation at Adelaide Fringe 2015 and 2016, it’s easy to see why this sweet award-winning show is taking the country by storm. 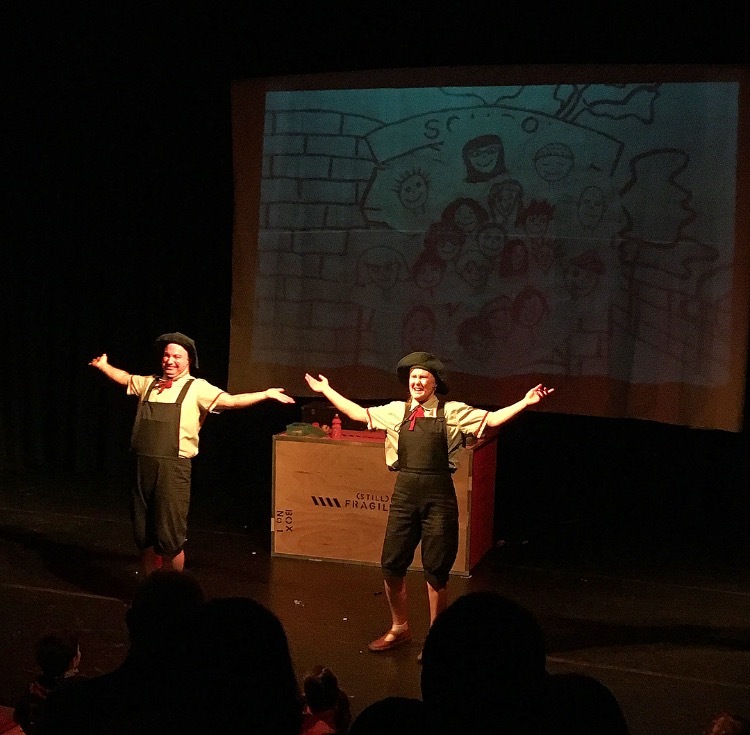 The Adventure of Broer and Zus is certainly an adventure for anyone with a sense of humour and imagination, no matter their age! The Flatman’s give it five stars! The Adventures of Broer & Zus gang will be touring across South Australia from the 4th to the 12th of October. See their Facebook page for more info.